What Does Blood Pressure Have to Do With Alzheimer’s? This is on study I would really like to get my mother into. She takes three medications now for high blood pressure and it is still out of control. 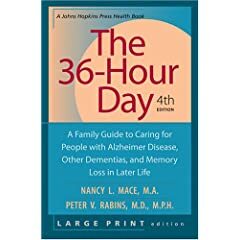 In addition, I discovered after the fact that she was not taking her blood pressure medication as prescribed for years before she was diagnosed with Alzheimer’s dementia. A small study being presented today at the RSNA conference is the latest finding to suggest there may be a connection. Using a type of MRI that measures blood flow, researchers examined how high blood pressure affected blood flow in the brains of people with and without Alzheimer’s disease (abstract here). They found that those with high blood pressure had lower levels of blood flow overall, and those with high blood pressure and Alzheimer’s had lower blood flow than those with high blood pressure but not Alzheimer’s. In an interview with the Health Blog, the lead author, Cyrus Raji, noted that the findings, based on only 88 people, need to be validated by a larger trial. But he said the research presents an interesting possibility that could give doctors and patients yet another reason to try to control high blood pressure.